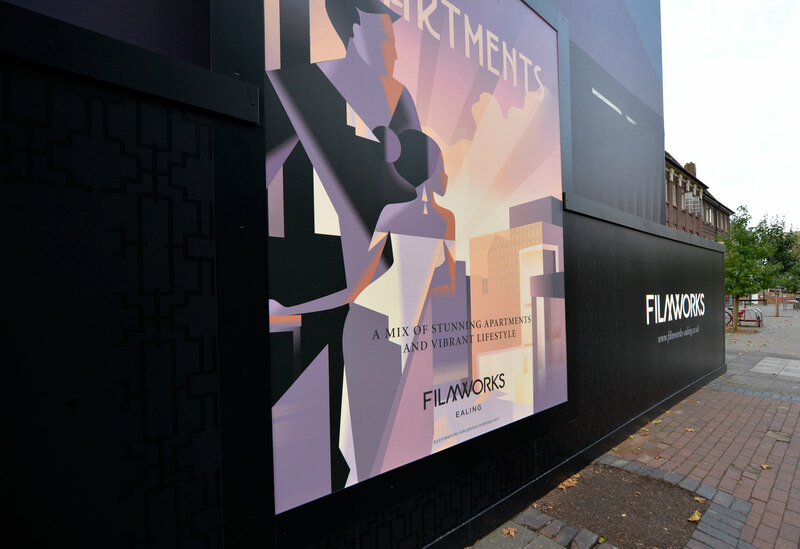 With a giant building wrap in mind, leading London developer St George was keen that their new development at Filmworks in Ealing, referenced both its art deco heritage and look during the build phase of the project. The brief was twofold – to conceal and protect the site works from public view and secondly to create a dramatic frontage that captured the glamour and splendour of the roaring twenties. 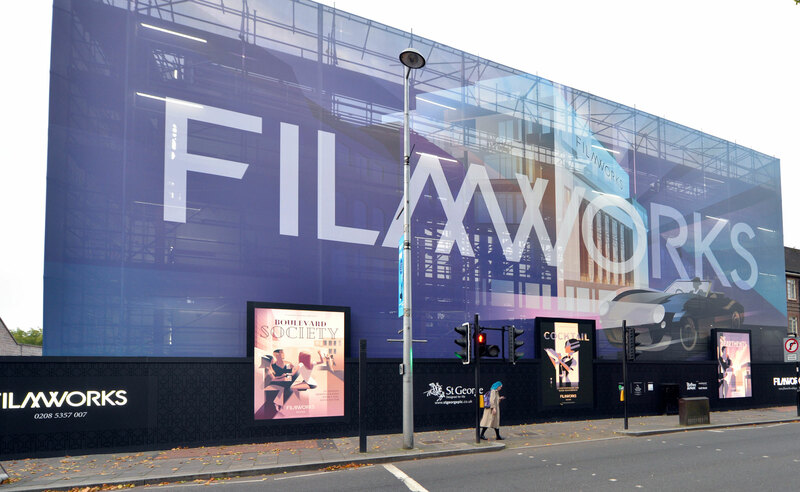 Octink was able to translate the concept artwork to both the perimeter advertising hoarding and also a giant building wrap covering the frontage of the old Empire Cinema. Key to the success of this project was the planning required through production and installation to not only deliver a perfect fit but also to ensure that each artwork element worked seamlessly with the other. 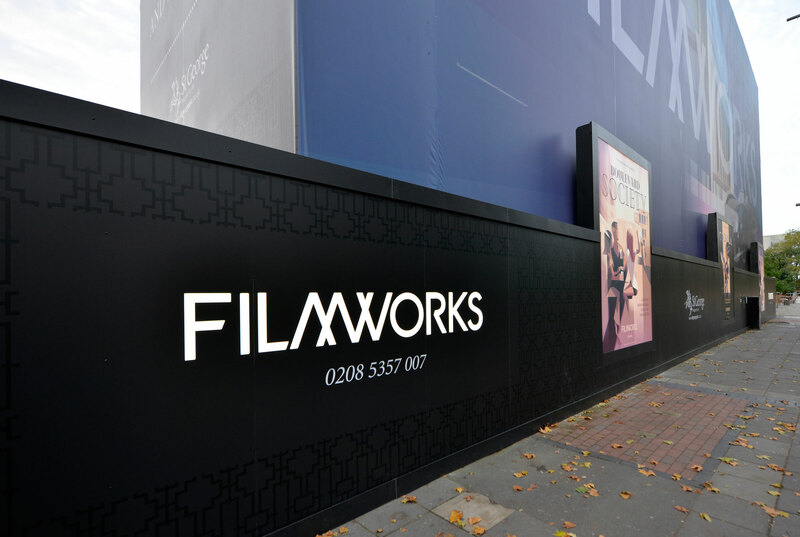 The final result was outstanding, with the richness of the building wrap design complementing perfectly the sharp lightbox imagery and large flush fitted acrylic lettering. Like what you see? 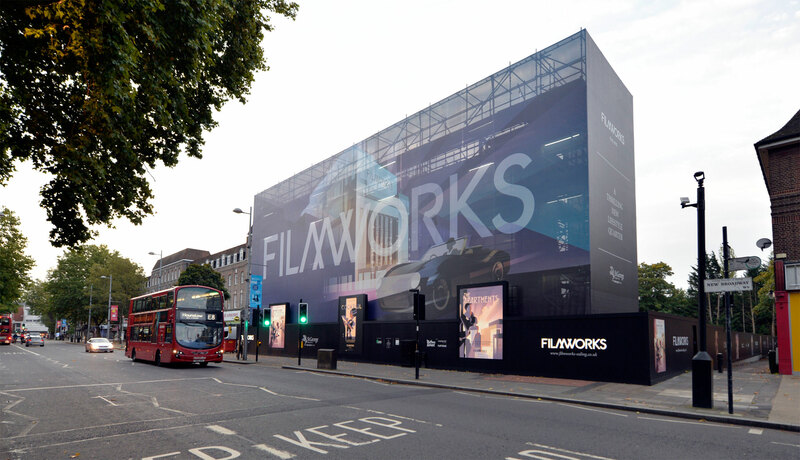 Read about our other building wrap and advertising hoarding projects here.